Add breathtaking eye candy to your Desktop with this powerful suite of applications. FREE professional dock for the 32 and 64 bit versions of Windows 2000/XP/Vista/7/8.x/10. 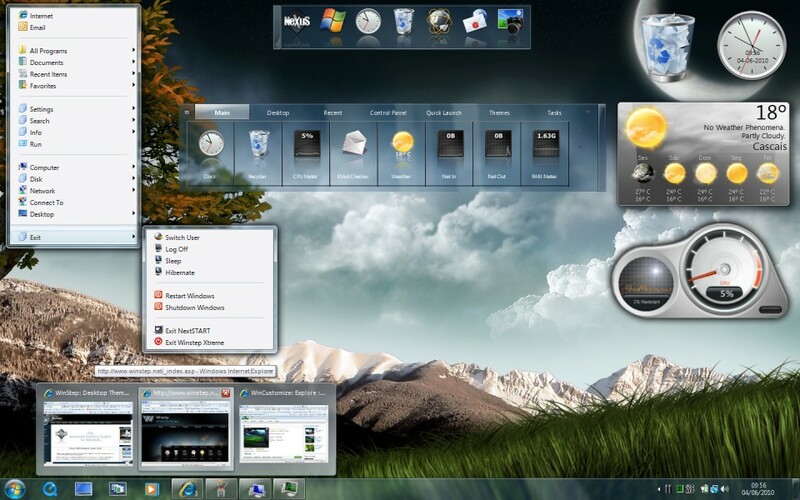 FREE application designed to help you organize and clean your Windows Start Menu. Created in early 1999, Winstep Software Technologies is an experienced company dedicated to providing a suite of groundbreaking components for customizing and enhancing the Windows User Interface.